The secret to making the perfect guacamole will vary depending on who you are speaking to. Some say it’s about the lime, some say it’s the salt. 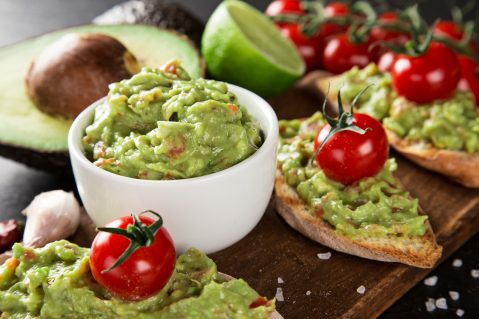 We’d like to share a special recipe so that when you’ve got the blues after arriving home from a stay at Casa Tabachin, you can awaken the spirit of Mexico within you while enjoying the perfect guacamole. First, it’s important to know how to pick the perfect avocados. Picking the perfect avocado isn’t all that difficult. All that’s really necessary is a gentle squeeze; if the avocado yields to gentle pressure, but isn’t extremely soft or mushy then it’s perfectly ripe. If it’s hard, then it’s still too green. Another secret is to examine the avocado’s stem. Peel back the little cap at the top and take a look at the color, if it’s green it’s good to buy. If the area underneath is brown or black, the avocado is most likely overripe. Cut the avocados in half, remove the seed and scoop into a bowl. Mash with a fork until you’ve reached desired consistency, then mix in the rest of your ingredients. Season with more lime, salt, pepper or spice to taste, and voila! You’ve got the perfect guacamole. During your stay at Casa Tabachin, you won’t have to worry about making your own Guacamole (unless you want to). Nestled in the Gringo Gulch neighborhood with stunning ocean views, this 8 bedroom luxury villa rental comes complete with a procured art collection and a full staff including a private chef and concierge. Chef Jose Luis will be happy to make you all the guacamole your heart desires. 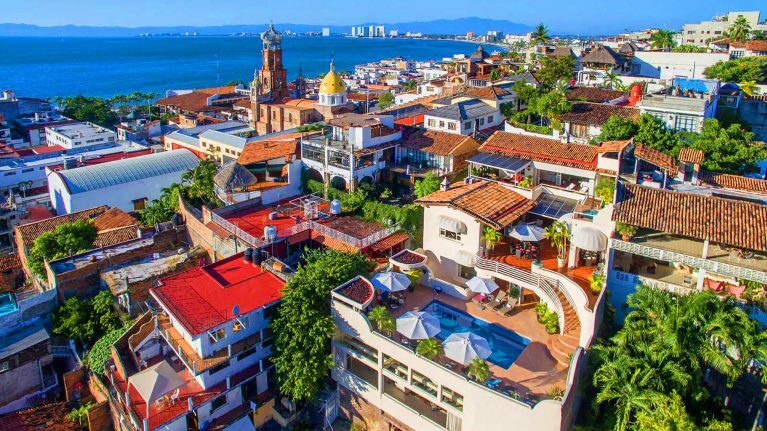 Although there are plenty of Puerto Vallarta all-inclusive vacations available in the Hotel Zone, there are very few Puerto Vallarta villas that offer the kind of experience offered at Casa Tabachin. Prepare yourself for the sensory experience of a lifetime during your stay at one of the most exclusive luxury villa vacation rentals in Puerto Vallarta. Casa Tabachin is everything you’ve ever dreamed of and more when it comes to the perfect Puerto Vallarta vacation.